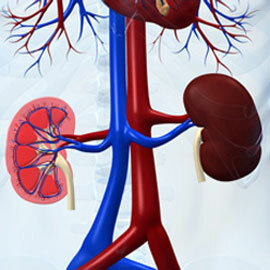 Kidney is one of the most important organs that filters and manages waste in our body. Slight discomfort in the kidneys can result in a lot of unrest in the body. Above 30% of critically ill patient develop renal failure of various severity. Therefore, referring it to an experienced nephrologists becomes essential, so as to correctly diagnose and treat the disorder. The Nephrology Department at Dr Jivraj Mehta Smarak Health Foundation (Dr Jivraj Mehta Hospital) is well-equipped and well-versed to treat the critically ill patients. Facilities of mobile hemodialysis in critical care units for patients on ventilators. Continuous Ambulatory Peritoneal Dialysis (DAPD) and CAPD training facilities for end-stage renal failure patients. Renal Biopsy and its histopathological evaluation. Emergency treatment for cases of poisoning, fluid and electrolyte imbalance. Procedures like Exchange Transfusion and Plasmapheresis are also performed.